Published in the St. Louis Post-Dispatch April 11, 2018. If you thought school segregation was a thing of the past, guess again. The practice of denying educational opportunities to African-American kids is alive and well in St. Louis schools. That’s unacceptable. We’re helping to lead the fight to end St. Louis schools’ segregation policy, and our goal is to take this fight to the Supreme Court. But for that to happen, we need to hear from families in the community who have been affected by this unconstitutional policy. Many people may be shocked to learn segregation persists in their community’s schools, believing we won that fight in the last century. But it’s sadly true — the only difference is today’s segregation has taken on a new face. Let’s take a step back to explain how we got here. In 2016, we represented Edmund Lee, a bright 11-year-old boy, in a lawsuit to vindicate his civil rights. 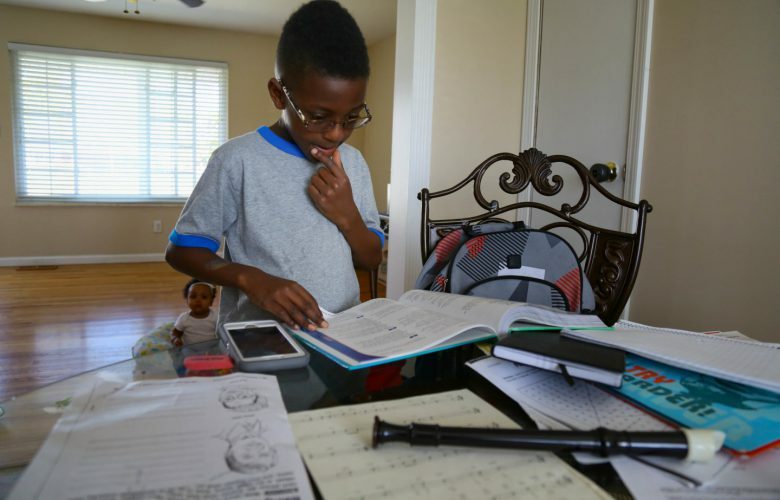 When Edmund’s mother, La’Shieka, moved her family to a safer neighborhood, she sought to keep Edmund at Gateway Science Academy, a well-regarded St. Louis charter school. After all, it was the only school he’s ever known, a place where he excelled and felt he belonged. But La’Shieka was horrified to learn Edmund could not stay at Gateway. Why? Because he is black. Under a policy enacted by the Voluntary Interdistrict Choice Corp., the nonprofit entity that facilitates county-to-city student transfers, black students — and only black students — in St. Louis County are prohibited from transferring to magnet schools in the city of St. Louis. The policy stems from a decades-old court desegregation decision, and subsequent efforts by state and local leaders to achieve a new balance of races in the city’s schools. As a result, Edmund’s white, Asian and Hispanic neighbors in St. Louis County could attend schools in the city. However, Edmund was to be barred at the schoolhouse door, because his presence would disrupt the prescribed racial balance in the classrooms. When La’Shieka read this policy, she broke down crying, and wondered how something resembling a law from the Jim Crow era could still exist. Eager to fight for her son’s constitutional rights, she started an online petition to keep Edmund in school, collecting over 135,000 signatures, including signatures from teachers and staff at Gateway. Yet school officials maintained their hands were tied by VICC’s transfer policy, because of a state law that required VICC’s transfer rules to apply to charter schools as well. So, they would not allow Edmund to stay at the only school he has ever known. On behalf of the Pacific Legal Foundation, we represented Edmund and his family at no charge in a federal civil rights lawsuit against the VICC. Our argument was straightforward: The Equal Protection Clause of the 14th Amendment prevents VICC from discriminating on the basis of race. At this point, VICC might have saved face by repealing its transfer program. Instead, they doubled down on their discriminatory policy. Among their arguments, they claimed that since they didn’t run the charter schools, they had no control over Edmund’s admission — even though they created the race-based policy that ultimately blocked Edmund from his chosen school. We were shocked when the court dismissed the case, agreeing with VICC officials’ assertion that their policy did not apply to charter schools. We appealed to the Supreme Court, but in January learned the highest court would not review that decision. This was disappointing news for Edmund’s family, along with others in the St. Louis area who share his predicament. However, we’re prepared to give the Supreme Court another chance to see that justice is done. Here’s the sticking point in the court of appeals decision: While St. Louis charter schools are no longer required to discriminate on the basis of race, the discriminatory policy is still in effect in magnet schools. We plan to challenge this policy in the courts again. If you are a black student in St. Louis County and you want to attend a magnet school in the city of St. Louis, VICC has no business turning you away because of your race. We want to hear your story, and help you fight for your constitutional right to equal protection under the law. The St. Louis transfer policy is a case study in how a seemingly benign bureaucratic attempt to ensure diversity in schools can have a tremendously unjust effect when applied in the real world. Racial discrimination is not simply wrong — it is unconstitutional. Like the Rev. Dr. Martin Luther King Jr., we believe the arc of the moral universe is long, but it bends toward justice. And fighting for that principle on behalf of kids seeking an education in the 21st century matters today just as much as it did a half century ago. Joshua P. Thompson and Wen Fa are attorneys with Pacific Legal Foundation.